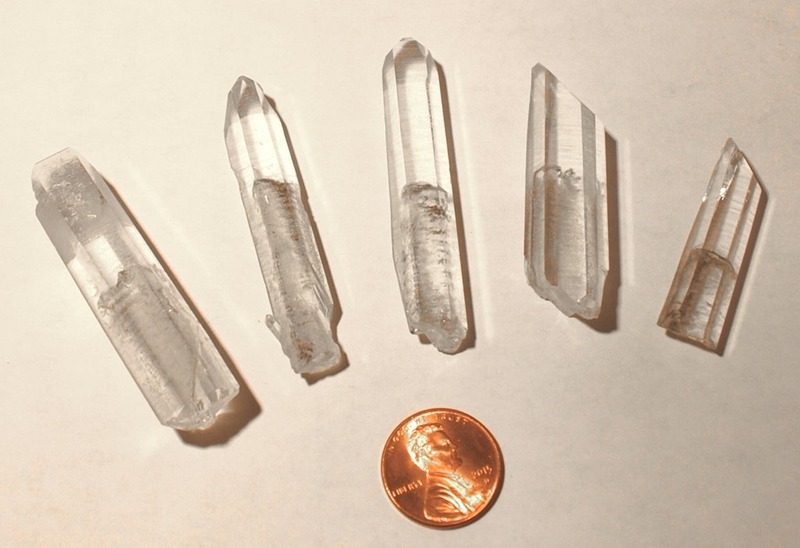 Phantom quartz refers to quartz crystals that show the outline of smaller quartz crystals inside of them. They are thought to form when there are at least two periods of growth. The phantom crystal is visible either because it differs slightly in composition or because it was coated with some material prior to the second round of crystal growth. In the crystals above, all of which were collected near Mt. Ida, Arkansas, partial dissolution of the phantom crystals prior to the second round of growth left the phantoms with a ragged appearance. This entry was posted in #geoblog, GeoPic of the Week on October 30, 2018 by argeology.